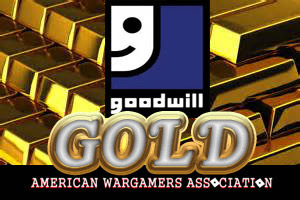 AMERICAN WARGAMERS ASSOCIATION: Goodwill Gold Episode 2 Clue! Hello and welcome to Episode 2 of my Goodwill Gold series. Each Goodwill Goal episode will be about cool things that I find and purchase while adventuring through Goodwill. Today will consist of a blast from the past for me. I was strolling down the aisles of my local Goodwill with my wife. We had been there for a bit and haven't found anything that caught our eye. We were in the isle with the puzzles and board games and I was joking to her that the one thing I would never buy was a puzzle from Goodwill since there is no guarantee that it will have all the pieces. Of course, I then see this puzzle and purchase it. 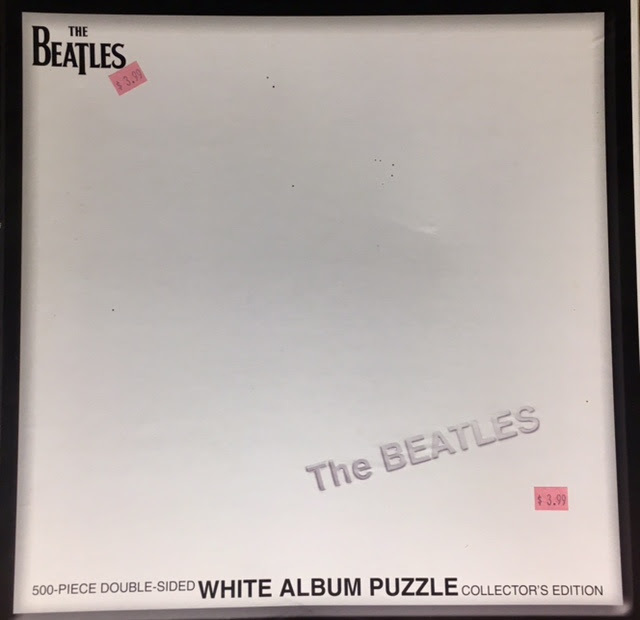 It made me laugh that they made a puzzle of the Beatles famous White Album and except where it says The Beatles the rest of the pieces are completely white. 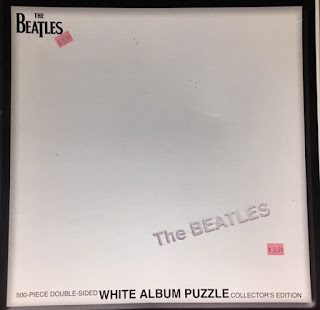 I hate puzzles so I don't know if it contains all of them or not but I did buy it even though I had to pay the full $3.99 for it. After my puzzle find we were going to leave when I saw another box on the shelf and gasped. 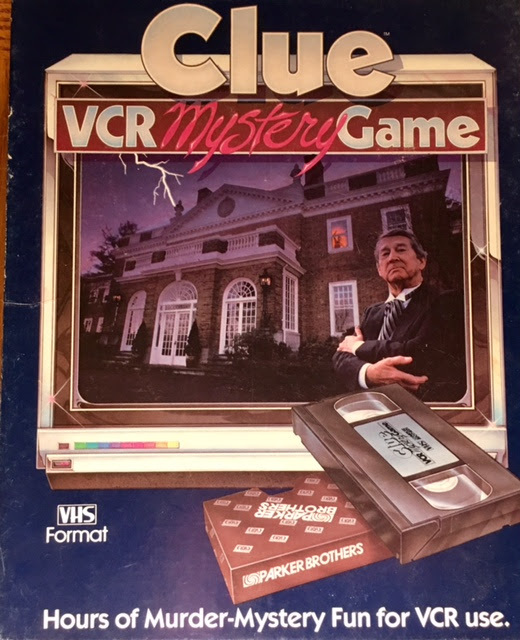 My parents had this Clue game when I was a kid that utilized VHS technology. I can remember about a million times asking to play it but was always told no. I was pretty young so I'm sure it was a combination of not wanting to teach a kid to play, not knowing how to play, and not wanting to play. 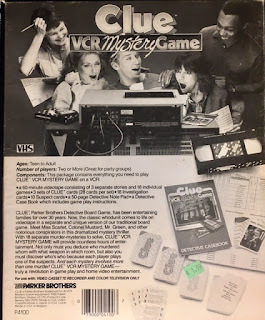 Eventually, I was able to convince them to at least watch the VHS tape. Due to how the game worked it didn't make a ton of sense but I was still really happy just watching it. Eventually, I stopped begging to play with it and it must have been thrown out at some point because my mom has no clue where it is. 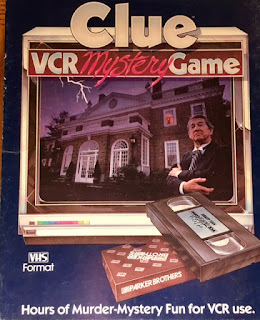 This Clue game is complete and appears to have everything inside. They wanted $1.99 for it but it was a green sticker day so I only paid 99 cents for it. Except for a bit of shelf wear, this is about as good as you'll find in 2017 and at a dollar, I was very happy with this find. I hope you enjoyed Episode 2 and stick around as I've got more to share.